Looking for a more challenging, creative, and supportive learning environment for your child? Want your child to feel confident and passionate about school? 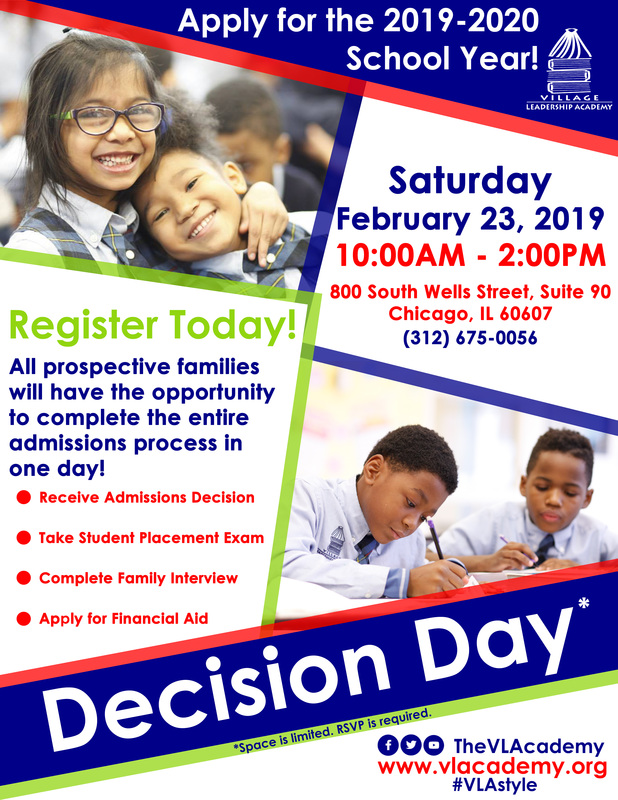 Attend Village Leadership Academy’s Decision Day on February 23rd and learn more about Chicago’s hardest working school! Whether you are looking for a new and innovative learning environment for your five year old or middle school student, this experience will be tailored to meet your needs! RSVP TODAY!